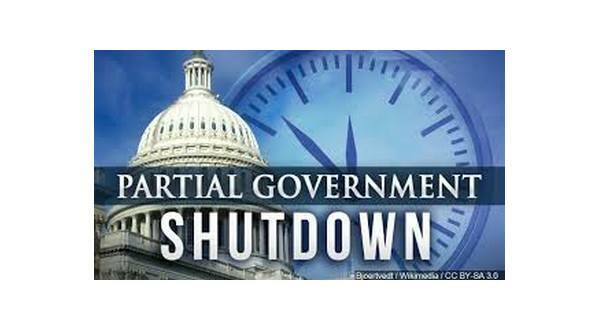 As the partial federal government shutdown enters day 20, there is good news for employees of the Norfork National Fish Hatchery--they are returning to work on Thursday. While the employees will be returning to their jobs, the hatchery remains closed for visitors. Late Wednesday, Jeff Fleming, spokesman with the U.S. Fish and Wildlife Service in Atlanta, said throughout the shutdown a handful of employees across the Southeast Region classified as "excepted" have been performing their duties without pay. Fleming says other sources of funding are making it possible for the staff of Jon Casey, project leader of the Norfork National Fish Hatchery, to return to their duties Thursday. Throughout the shutdown, Fleming says partners like the Arkansas Game and Fish have been "awesome." A release from Game and Fish notes Arkansas anglers will continue to see world-class fishing in The Natural State's cold-water trout streams, even during the current shutdown of federal government facilities, thanks to cooperation between the U.S. Fish and Wildlife Service and the Arkansas Game and Fish Commission. The vast majority of trout swimming in Arkansas waters originate in Greers Ferry and Norfork National Fish Hatcheries, which are run by the U.S. Fish and Wildlife Service. These hatcheries were put in place to provide trout for anglers throughout the south, and particularly for the cold tailwaters created by the many dams along White River impoundments in Arkansas. The cold water coming from the bottoms of large Corps of Engineers reservoirs makes the section directly below the dam uninhabitable by native warmwater fish. To mitigate the loss, the U.S. Fish and Wildlife Service provides trout, which are more tolerant of the cold water. The current shutdown in the federal government has forced the three hatcheries providing trout to Arkansas to run minimal operations, which means some of their long-distance stockings would have to be postponed. However, AGFC trucks have stepped up to haul the trout to longer destinations to help out their federal partners during their time of need. So far, the AGFC has delivered trout to the tailwaters of Bull Shoals and Beaver lakes from the national hatcheries.